13/09/2013 "Housing plays a critical role in our economy," said Reserve Bank Governor Graeme Wheeler in an August 20 statement, adding "It represents almost three quarters of household assets and mortgage credit accounts for over half of banking system lending... Consequently, housing is a major source of value and of risk to the household sector and the banking system." "The LVR restrictions are designed to help slow the rate of housing-related credit growth and house price inflation, thereby reducing the risk of a substantial downward correction in house prices that would damage the financial sector and the broader economy," said Wheeler. While these restrictions are designed to increase stability and improve housing affordability over time, the rapid implementation of these tougher-than-expected limits has caught many people off guard. New LVR limits are designed to decrease demand over time, but have had the opposite effect over the last couple of months. House sales were up 14.7 percent in July compared to July 2012, with the traditional winter slowdown practically non-existent in a number of key markets. According to REINZ chief executive Helen O’Sullivan, volumes were “up strongly on July last year despite school holidays occurring in the middle of the month. July is usually the quietest month but Agents were reporting first-home buyers wanting to secure loans before the rules changed." 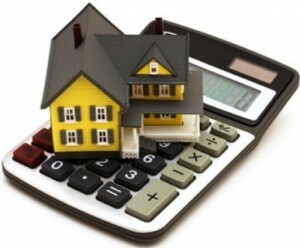 These conditions, while less pronounced, continued in August with sales figures up 8.5 percent compared to August 2012. According to REINZ figures, 6,548 houses sold in August, despite the fact that both the National Stratified House Price Index and Auckland House Price Index recorded new highs. The rush for new loans is likely to continue in September as the new changes come into effect, especially with first-home buyers and others without access to a 20 percent deposit. LVR restrictions are part of a broader plan to place downward pressure on New Zealand house prices. With the structural barriers affecting housing supply also being addressed through the recent passing of the Housing Accord and Special Housing Areas Bill, the Reserve Bank are doing what they can to tackle this problem from the demand side. While debate continues to rage over the impact and merits of these new limits, changes are already being felt on the ground. If you are unsure of how the new LVR restrictions affect you, please contact your broker for further assistance.